As a Nevada Lake Tahoe License Plate owner, with an initial payment of $62 for the first year and $30 each continuing year, you can help fund projects that will preserve or restore the natural environment of the Lake Tahoe Basin. Of the DMV fees collected, $25 the first year and $20 each subsequent year go directly into a dedicated Lake Tahoe fund which is administered by the State Lands. Since the first license plates were sold in February 1998, the program has raised over $8.1 million through sales and annual renewal fees, funding over 145 preservation and restoration projects in the Lake Tahoe Basin. 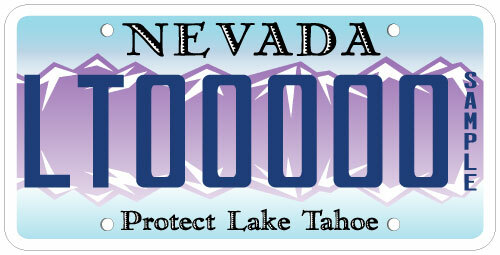 Today, there are nearly 19,400 Lake Tahoe license plates on the road in Nevada. The Nevada Lake Tahoe License Plate program generates approximately $350,000 on an annual basis to fund projects ranging from water quality initiatives and state park improvements, to research and monitoring studies, invasive species surveys and removal, and public education efforts. Aquatic Invasive Species Surveillance Monitoring: Tahoe Regional Planning Agency will be conducting a lake-wide survey and developing a surveillance monitoring plan for aquatic invasive plants in Lake Tahoe. Lake Tahoe Water Trail Educational Wayfinding Interpretive Signage: Tahoe Resource Conservation District in collaboration with Sierra Business Council will install sign panels and stands at five sites along the Lake Tahoe Water Trail to promote safety and natural resource stewardship for paddlers. Operational Remote Sensing to Support Lake Tahoe Nearshore Monitoring: Scientists at Desert Research Institute plan to develop empirical water quality tracking algorithms and predictive water quality indices using imagery and historic nearshore water quality data. A web application will also be customized for Lake Tahoe allowing the public to monitor water quality and vegetation conditions using imagery and climate data. Aquatic Invasive Plant Control at Elk Point Marina: Tahoe Resource Conservation District will remove aquatic invasive plants, including Eurasian watermilfoil and curly-leaf pondweed, from the Lake’s nearshore environment at Elk Point Marina. This project is unique in that it’s the first of its kind in which a private homeowners association is providing the 25% match required by the Program. 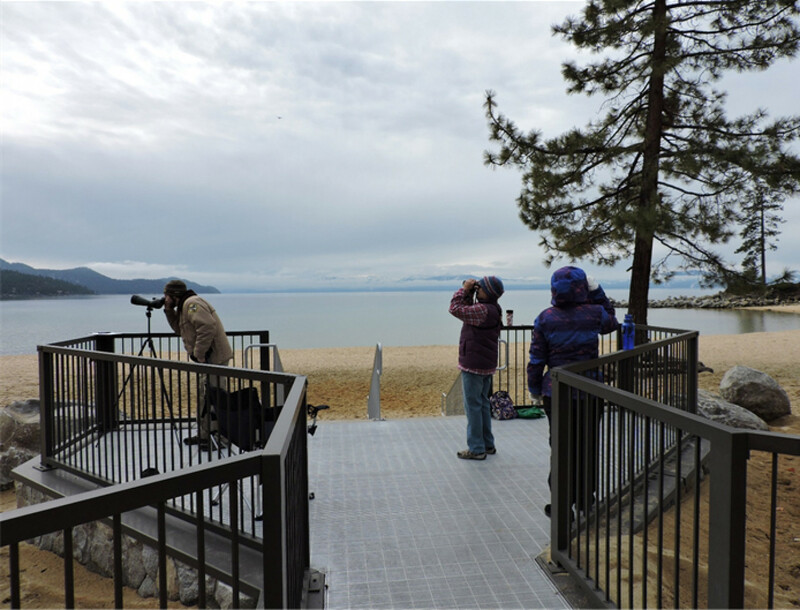 Outreach and Education for the Lake Tahoe Shoreline Plan: Tahoe Regional Planning Agency will reach out to stakeholders, residents and visitors to provide public meetings along with education and outreach materials for the Shoreline Plan. A Sustainable Method for the Rapid Assessment of the Extent and Causes of Metaphyton in Lake Tahoe: Scientists at UC Davis Tahoe Environmental Research Center plan to develop a lake-wide approach to identify and quantify metaphyton using aerial imagery. This research aims to clarify the relationship between elevated nutrients and metaphyton growth which may be linked to Asian clams, an aquatic invasive species in Lake Tahoe. Impacts of Genetics, Local Environment, and Stand History on Quaking Aspen Susceptibility to the Emerging White Satin Moth Defoliation Event: Researchers at University of Nevada, Reno will examine the drivers of quaking aspen defoliation in Lake Tahoe Nevada State Park that is caused by the non-native, invasive White satin moth (Leucoma salicis), a potentially devastating forest pest. Numerous aquatic species control projects, including this pilot project to use rubber mats to reduce a population of Asian clams, have benefited from LTLP funding over the past twenty years. Funding from the LTLP program supported a study with Desert Research Institute to implement the Lake Tahoe nearshore monitoring framework for clarity metrics. Funding contributed to the construction of beach overlooks at Sand Harbor that were designed to promote natural beach processes and provide an ADA compliant access route to the main beach. 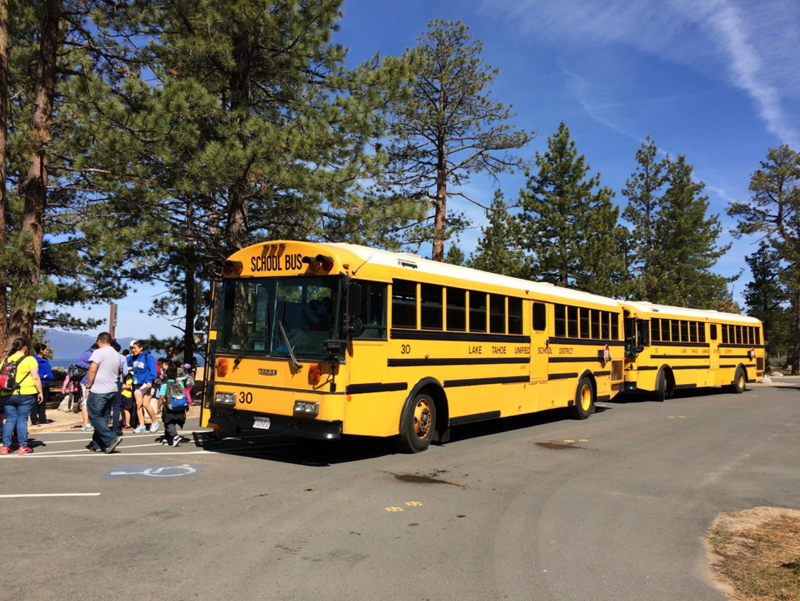 Past funding has supported field trips and the development of environmental education programs focusing on the Lake Tahoe watershed for students. LTLP funding has contributed to ecological monitoring including a project to inventory and monitor native butterfly species in the Lake Tahoe Basin. The easiest way to get involved is to purchase a plate through the Nevada DMV. Once purchased, you may be able to participate in the Tahoe Fund's Plate for Powder Program. If you are interested in applying for a grant to protect the Lake Tahoe watershed, please check back here for Grant Information or go to our News and Notes page. There are no grant opportunities at this time- check back soon! State Lands makes every effort to ensure that information posted on this website is up-to-date, accurate, and reflects the officially promulgated documents. While we try to keep the information timely and accurate, we make no expressed or implied guarantees. We will correct errors as they are brought to our attention.